PAGE DOWN TO SEE ALL THE EXCITING BANNERS AND LINKS! HELP PLANT A BILLION TREES!! Now you can sign up for the FREE monthly newsletter directly by going here! IT'S HERE!!! 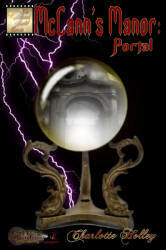 McCann's Manor: Portal--my first published novel and first in The Actor's Guild Paranormal Mystery Series . . . Available NOW in ebook format and soon to be re-released in Paperback! BOOK TWO--The Bakery Murders: Challenge--was released February 28, and the print version is scheduled for re-release soon. 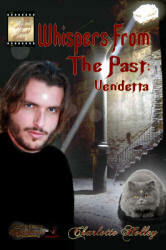 BOOK THREE--Whispers from the Past: Vendetta--Coming in2009! Click on picture(s) to learn more, or visit http://www.mysticmoonpress.com/authorpages/charlotteholley.html ! Questions about life? Contact Psychic Karin Bergthold! You'll be glad you did! COOL BOOKS AND RELATED BANNERS BELOW! Check this site out each month for new cover art and trailers and VOTE for your Favorites! All designs are copyrighted 2007-2010 by Charlotte Holley, Beaded Legends by Chalaedra. This includes all web graphics, original jewelry designs, original art and writing content. All guest designs displayed on the guest pages are the copyrighted property of the designer who created them and are protected under the copyright laws of the United States of America. For information about licensing or any other comments, questions or suggestions, please contact: chalaedra@beadedlegends.com. Chalaedra and her respective logos are trademarks of Beaded Legends by Chalaedra.